Models with high predictive performance are often opaque, i.e., they do not allow for direct interpretation, and are hence of limited value when the goal is to understand the reasoning behind predictions. A recently proposed algorithm, GoldenEye, allows detection of groups of interacting variables exploited by a model. We employed this technique in conjunction with random forests generated from data obtained from electronic patient records for the task of detecting adverse drug events (ADEs). We propose a refined version of the GoldenEye algorithm, called GoldenEye++, utilizing a more sensitive grouping metric. 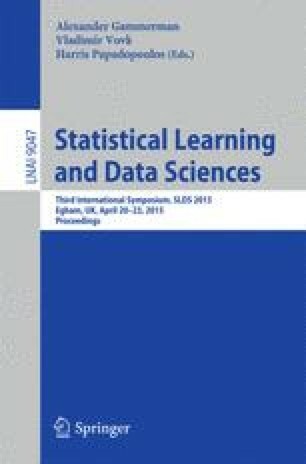 An empirical investigation comparing the two algorithms on 27 datasets related to detecting ADEs shows that the new version of the algorithm in several cases finds groups of medically relevant interacting attributes, corresponding to prescribed drugs, undetected by the previous version. This suggests that the GoldenEye++ algorithm can be a useful tool for finding novel (adverse) drug interactions. Classifiers Randomization Adverse drug events.